We’re now starting work on a new site for the CWC’s Watershed Educators Program. Exciting projects. Locust Grove Enterprises recently completed a new website for the Inn at West Settlement, in the hills outside Roxbury, NY. 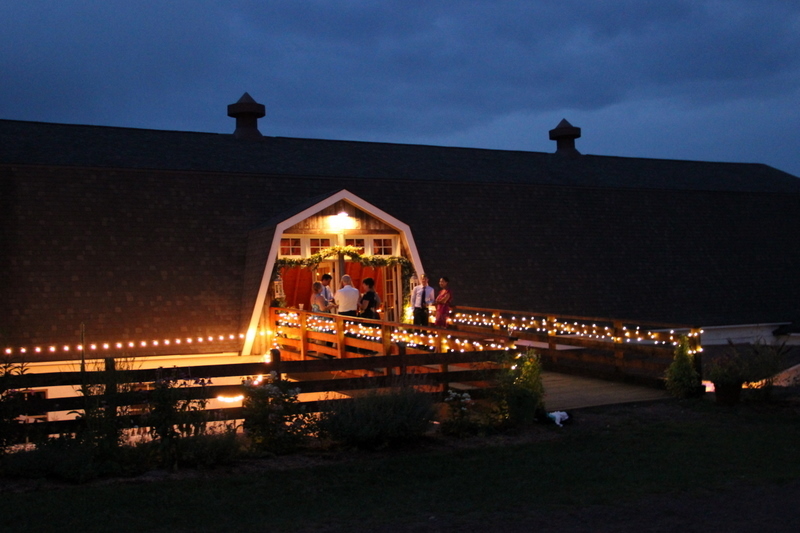 When it comes to Catskill Mountain wedding venues, this is truly among the outstanding choices. It’s good to see one of the newest additions to the Margaretville business district, The Happy Giraffe gift store. Owner Kari Blish has started a new career after 16 years at the helm of the popular Flour Patch. 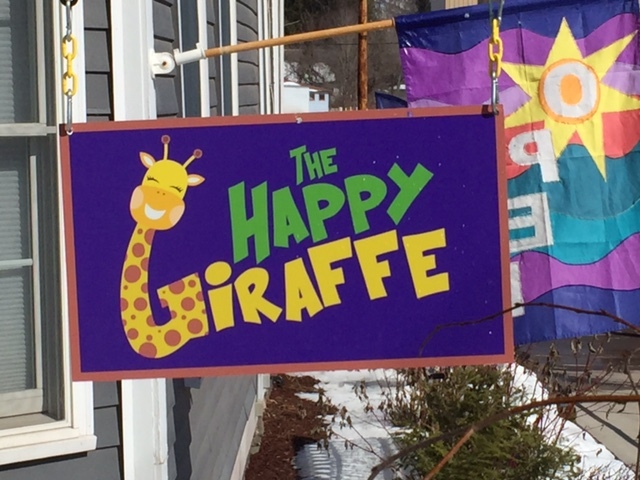 New signs we produced for the Happy Giraffe in Margaretville. 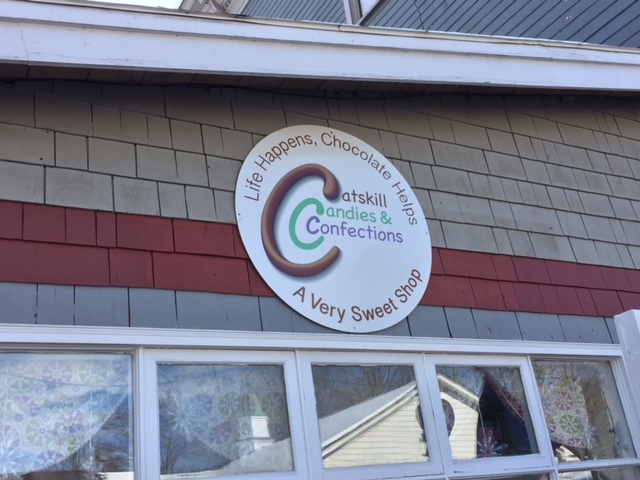 Catskill Candies and Confections is a sweet new venture on Main Street, Margaretville Try the truffles and, well, everything else! We were pleased to provide this sign for Catskill Candies and Confections in Margaretville. 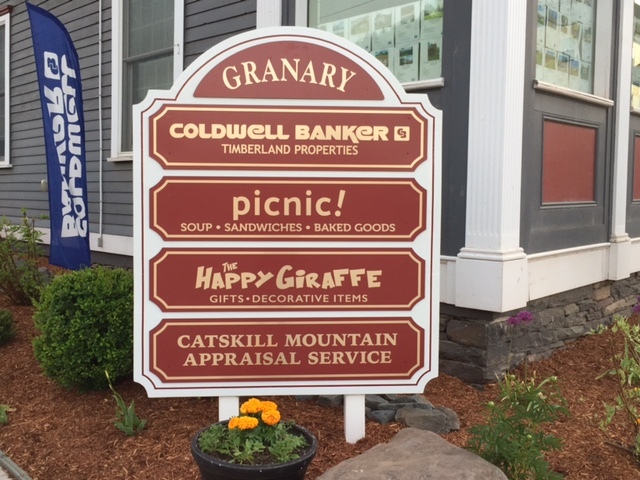 the Happy Giraffe and Catskill Mountain Appraisal Service. The new directory sign at the Granary Building in Margaretville. Please let us know what you think of our new website. Pleased to quote our reasonable rates for your site, signs, brochures and all other marketing needs.